Let’s get one thing straight; change will only occur if it is your idea, not someone else’s. Nobody can tell you what to do and expect great results. You need to make a change because you have decided it is the right time to do so. It begins when you ask yourself what it is that you really want to accomplish, and how strongly you want to accomplish it. Problems arise when someone is being told they “have” to do something. When they embark on behavior change for the wrong reasons, plans are certain to start falling apart. Has anyone every told you that you have to quit smoking, or you have to lose some weight? Chances are when you tried to appease these individuals you did not make a permanent change in your life, and became very frustrated in the process. Sound familiar? The fact is, the first rule in behavior change is that the individual must want to make the change themselves, or else it is never going to work. You actually wanting to make a change is the very first step in behavior modification. Think about what you want for the future “you” and begin to create a positive image of what this will look and feel like. We will talk more about planning this vision and setting goals in the next article, but keep it on the back burner as we continue our conversation about “why” and “how” people change. This is the beginning of Behavior Change 101, more specifically, Behavior Theory. This was one of the first theories developed exclusively for health behavior, way back in the 1950’s. It originated from the works of a few social psychologists who worked in the public health services. During this time there were many public health awareness campaigns for various diseases taking place across the country. One such campaign was sending out chest x-ray units to neighborhoods to conduct free tuberculosis screenings for everyone. Now, in my book I have a saying “If it is free it’s for me”, but not so with these folks. You see, very few people were taking advantage of this free service; they simply were not taking part in the free screenings and the social psychologist were wondering why. To help them explain this phenomenon and to help recruit more “takers” in the future, the group looked into some existing theories of the time and then ultimately developed their own; The Health Belief Model (1). After doing this research, what they found was that when it comes to a health behavior, a person first needs to feel like they are at risk. If they don’t, then they are less likely to care about the issue or do any sort of preventive maintenance. Another reason is that the person also has to have some sort of perceived severity and susceptibility regarding the disease. One person might have thought that TB was a death sentence while another person may have thought it was no big deal. A person needs to believe that a health issues is a big deal and that they might be susceptible in order for them to do anything about it. 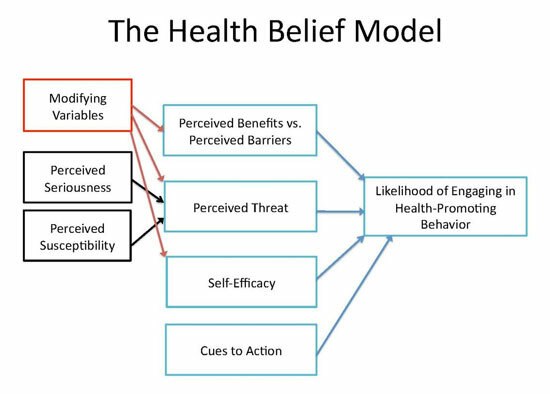 So, the gentlemen figured this out and thus explained why people were not utilizing the free mobile x-ray units; they didn’t think TB was going to affect them, so their attitude was “Why get a chest x-ray?” Hence, the Health Belief Model. The Transtheoretical Model, better known as the Stages of Change, was developed in the late 1970’s by Dr. James Prochaska who reviewed various theories behind psychotherapy. In the process, he laid the foundation for this model. He found that there were certain commonalities in the process of change for these various therapies which begins with a person’s attitude towards change and then develops into stages of readiness (1). When a person begins to consider a behavior change they move through five distinct stages during the process. In this stage, the person is not even thinking about change, nor is it on their radar. They are not planning on making any behavior changes in the near future because they don’t think they need to. Think of the people from the Health Belief Model story; they did not think they were at risk, so TB testing was not something they even considered. Here, we need to just let people figure it out themselves by giving them information (when accepted) and try not to be too pushy; i.e. no nagging! A person in this stage is beginning to consider the benefits of changing their behavior and starting to put ideas on the back burner. They have no immediate plans to change, but might within the next 6 months. Information continues to be extremely important during this stage and people may ask for more information by inquiring about gym memberships, talking to their doctor, or looking up specifics on the internet. This is when a person is planning to actually make a change within the next month; they purchase the gym membership, buy new running shoes, get the nicotine replacement therapy, create space in their schedule for exercise, purchase new cookbooks, etc. etc. etc. This is an exciting time! People normally have a lot of energy and motivation during this phase and may not need too much of a push to get started. At this point, you are at the starting line just waiting for the gun to go off; you are finally ready to make a change! During this time you are actively participating in the new behavior from the very first day up to 6 months. 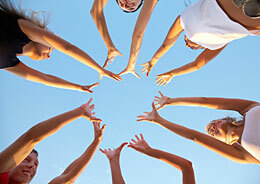 A person in this stage needs to have continues support and encouragement from themselves as well as those around them. They need to reward themselves for the changes they are making as they move along in the process. This final stage is where a person is maintaining their new behaviors for a long period of time. Take heed at this point; here is where you need everything in your bag of tricks! It is common for people to lose steam over time, fall off the wagon, hit a plateau, or become bored after many months of repetition. New workouts, different recipes, alternate schedules, varying activates, or new social activities are all things that should be considered when in the maintenance stage. The maintenance stage is the pinnacle of your success; it shows you that you can do it, but it is also the place where people grow complacent and stagnate, so have this in mind as you set out. Understanding what each of these stages signifies will not only help you understand the behavior change process from start to finish, but can help you decide what stage you are in currently. This helps an individual work with his/her needs during that particular stage allowing them to move to the next level, getting closer and closer to permanent change. Exciting, right? Having this knowledge will certainly help drive you forward in your behavior change goals and give you the direction you need to succeed! Next time, we will discuss where you go from here; how to develop a wellness vision and goals. 1. Sharma, M., & Romas, J.A. (2008). Theoretical Foundations of Health Education and Health Promotion. Boston: Jones and Bartlett. p. 70-71, 92-94. Heather is certified by the American College of Sports Medicine as a Personal Trainer, is a certified Wellness Coach through WellCoaches, a NCHEC Health Education Specialist, and published author. 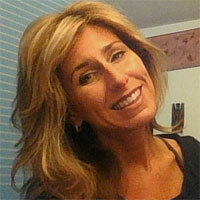 She also holds a Master’s Degree in Health Education/Promotion and a B.A. in Health Care Studies. Her mission is to make wellness seem “doable” for everyone, regardless of fitness level or hectic schedule.